Ezt a terméket eddig 96 alkalommal vásárolták meg! 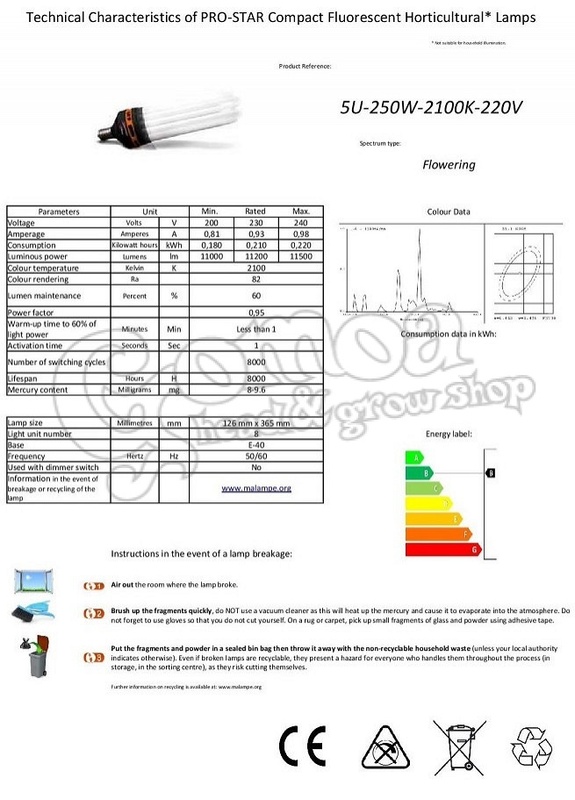 Pro Star, the latest low-consumption bulbs for blooming plants! 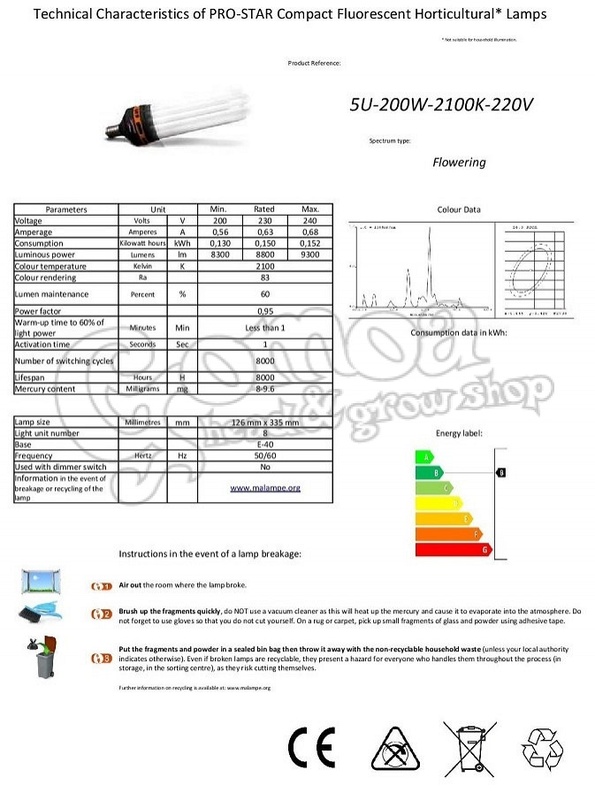 The new energy-saving PRO STAR compact fluorescent lamps developed by Advanced Star are a considerable advance in horticultural lighting. 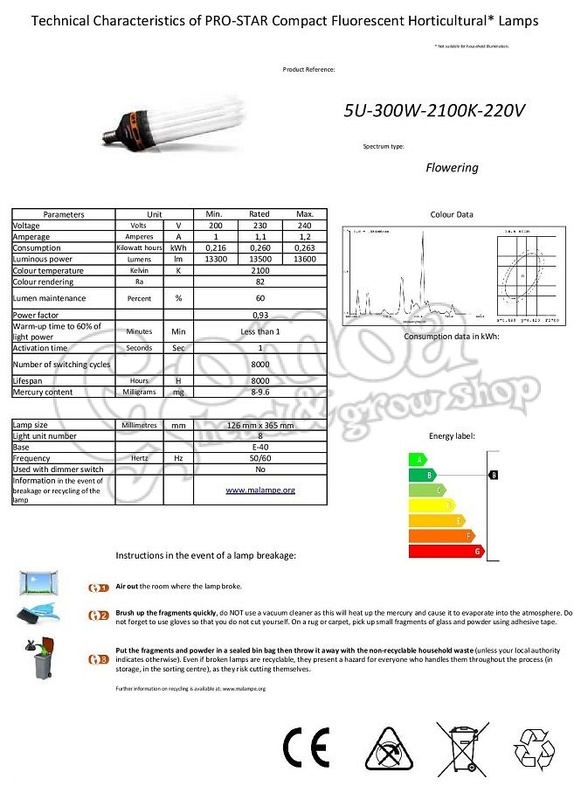 Integrating a ballast, this CFL PRO STAR compact fluorescent lamp connects directly to the sector to offer up to 15,000 hours of efficient lighting. 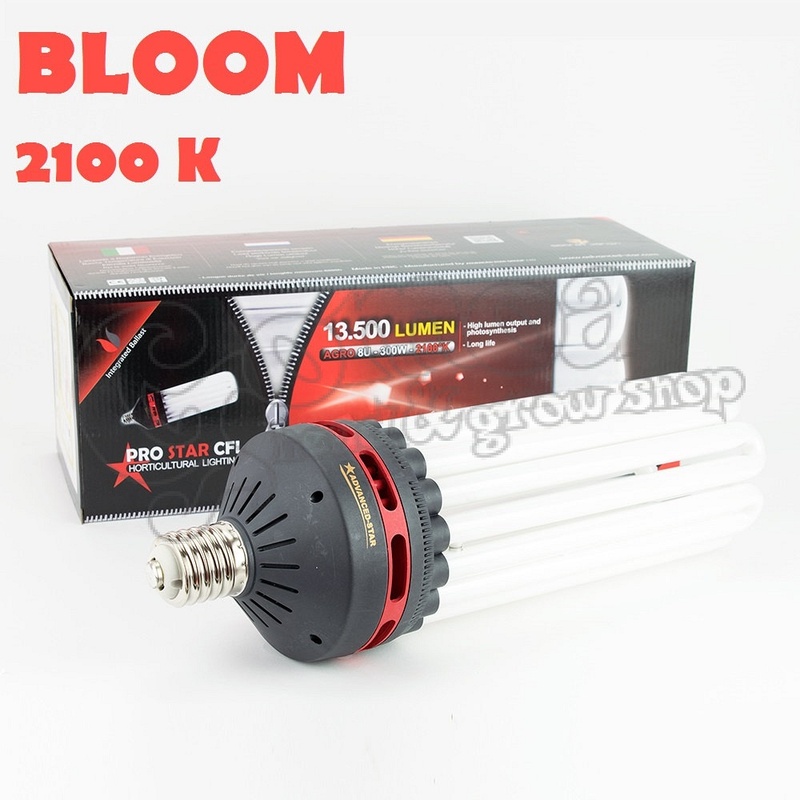 All the electricity used is transformed into light and not just heat, as is the case with HPS and MH lighting. 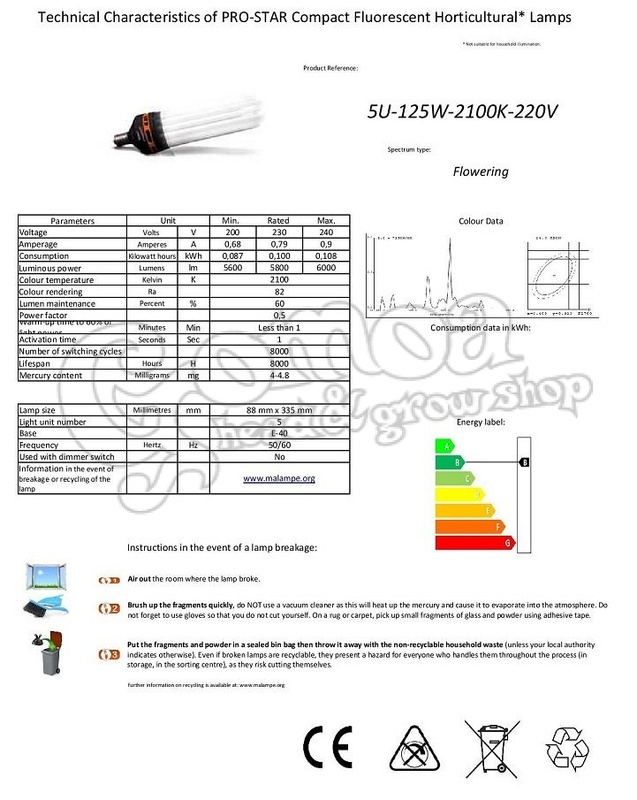 FLORASTAR innovate and optimize your blooms by offering the first CFL bulb with a color temperature of 2100 K, the same as a Sodium bulb! His PAR (Photosynthetic Active Radiation) is 100% available to plants. Heats bit, which allows the position closer to the plants. Equipped with an integrated ballast, it connects directly to the mains via an E40 socket.